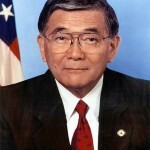 Mineta was only the fourth individual to serve as a Cabinet member under two presidents from different parties. He retired as the longest-serving secretary of transportation in U.S. history. During the 9/11 attacks, he ordered all civilian aircraft to be grounded. Later, when security at airports was tightened, he issued a letter forbidding airlines from practicing racial profiling. Prior to joining the Cabinet as President Clinton’s secretary of commerce, Mineta represented Silicon Valley in the House of Representatives from 1975 to 1995. Prior to that, he served as mayor of San Jose. A graduate of Hacienda Heights public schools, Chen earned an NROTC scholarship to attend Harvard University and worked as a management consultant prior to starting his own small business. 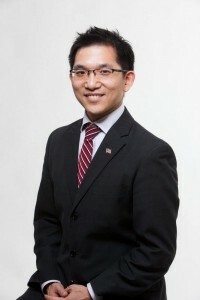 Fluent in Mandarin and Spanish, he was elected to his local school board in 2007 and has helped guide the district through consistent academic growth while preventing furloughs and layoffs to K-12 education. He serves on several local civic boards and is an intelligence officer in the U.S. Navy Reserve. America’s Opportunity Fund (AOF) is a political action committee that provides opportunities for candidates, and communities of color, to participate fully in the electoral process at the federal and statewide level. The goals of AOF are to affect a marked increase in the number of elected officials who embrace and understand the needs of communities of color; generate significant funds to support its mission in targeted states throughout the country; and increase voter visibility and participation to support AOF-endorsed candidates to achieve victory.